I know I am kind of late on this, I have had the flu for like 10 days it’s been horrible. I think I went stir crazy at my house this past weekend. But I did get to finish the last Game of Thrones book so I am super stoked to see the show this seaon. 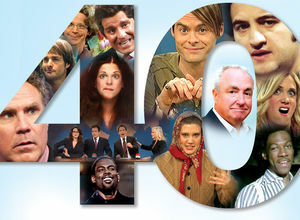 Anyways back to the topic, I just wanted to do a quick recap of the best moments of the Saturday Night Live 40th reunion. It was 3 hours long, which honestly I can’t remember any shows that have been that long on TV. Some of it was totally funny and other parts just felt really long and useless. I have been a fan of SNL, I would have to say my whole life and really became a dedicated watcher as a teenager. In the days before DVR’s, I remember being 14 and staying up what I thought was late to watch SNL. The audience was packed for the reunion with A-list celebrities like Michael Douglas, Steven Spielberg, Ed Norton, Bradley Cooper, Larry David, Paul Simon, Paul McCartney and the list goes on and on and many who performed or announced musical acts in between on the show. I love seeing celebrities laughing and enjoying themselves like normal people, am I the only person who feels like this? 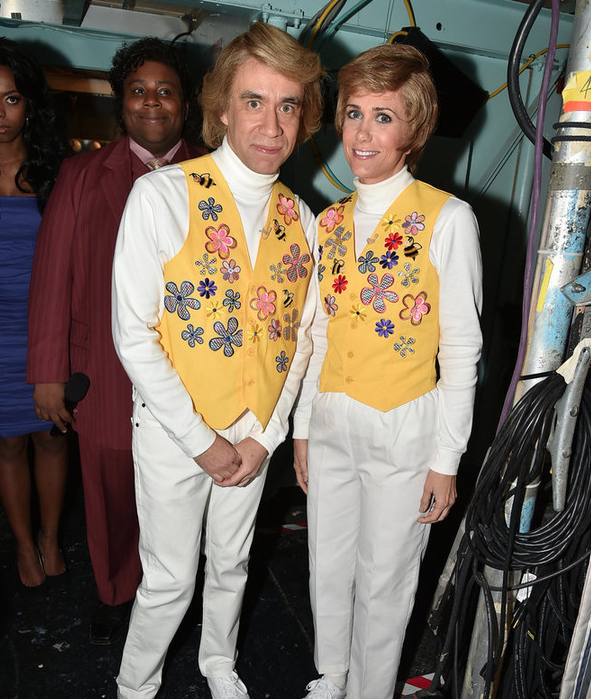 Here are my top 12 best (and one worst) moments of the SNL 40th reunion in no particular order. And basically you can get the gist of the whole show in less than 3 hours. 2. The infamous Jeopardy game. This time Christopher Waltz, Justin Bieber, Sean Connery, Matthew McCounaghey and Burt Reynolds were the guests. My fave was definitely Jim Carrey love him still. 3. Kanye West performed upside down and then Sia appeared with a giant wig. Am I the only who loves both of them? 4. Emma Stone paying homage to Gilda Radner, the more I see Emma the more I love her. 5. The Californians skit had Taylor Swift, Kerry Washington and Betty White and Bradley Cooper finished it off perfectly. 6. Ed Norton as Stefan lol. 7. Audience Q&A with Jerry Seinfeld. 8. Fred Armisen and Kristin Wiig doing their funky performance as Garth and Kat, their songs that have no rhythm or meaning and are pretty hilarious. 9. Seeing the SNL Audition tapes, I love seeing those and seriously how young did Jimmy Fallon look?! 10. 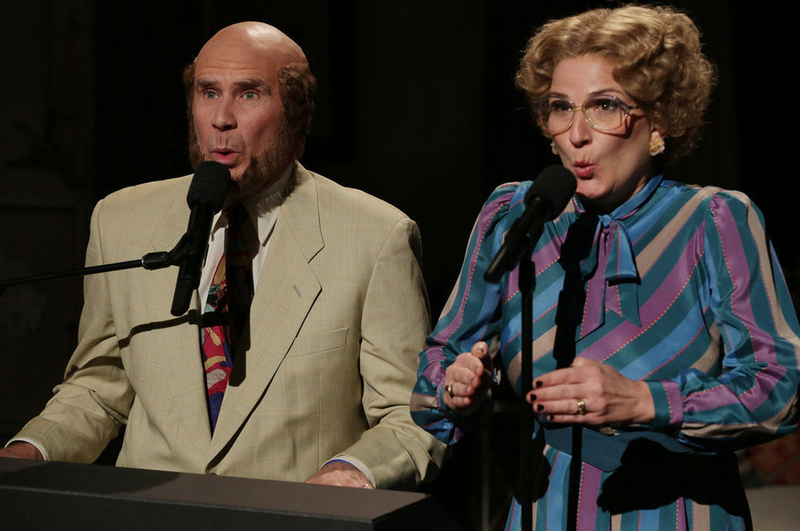 Will Ferrell and Anna Gastyer doing their musical act The Culps, I think that was one of my fave skits. 11. Last ,but not least WAYNE’s WORLD! Party on my friends. 12. 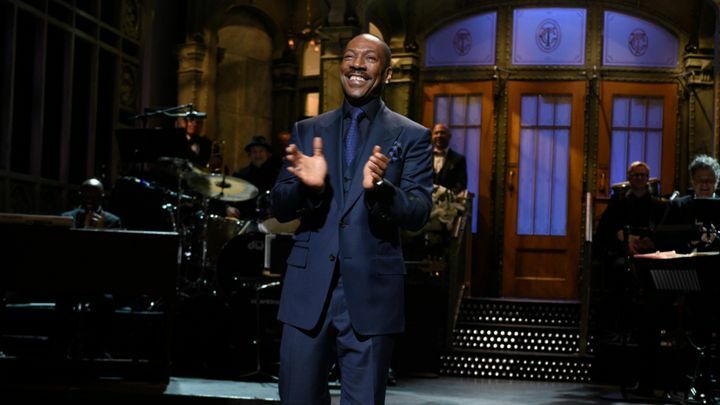 The worst had to be Eddie Murphy back on stage at SNL for only like two seconds. It was weird and he should have done a funny skit or something for old times sake. Did you guys watch and if so what did you think? What is your fave SNL skit or comedian? They need something! This is the pits!! There were some good moments for sure on there, and a few that were obviously not. Eddie Murphy had the worst and most pathetic appearance out of the bunch. I thought the continual teasing of Jon Lovitz was quite hilarious. In addition to what you mentioned, I loved the new digital short that Andy Samberg and Adam Sandler did where they made fun of people for laughing. And the Jon Lovitz being dead thing was pretty funny. I don’t love Kanye West, but I’ll admit that performance was pretty good. I totally forgot the Jon Lovitz thing, I think it is because I find him kind of annoying. And yes the digital short I love Andy Samberg. I like Kanye’s first two albums but he is a world-class douchebag. I saw about half of this. Jeopardy is always funny. The Bill Murray Jaws song was by far the best part. Except for Larry David. The Eddie Murphy thing was weird. It was like he was some huge amazing unique star that they were SO lucky to get saw three words. Sorry if they interrupted the filming of Meet Dave 2, Eddie. Thank you Cara, I figured not everyone sat and watched the whole thing. Awesome yes and thank you I am back girl! I love Jeopardy! I also love “Ew”. “You make a teepee out of your secrets” – LOOOOOOOOOOOOOOL! Great post lady!